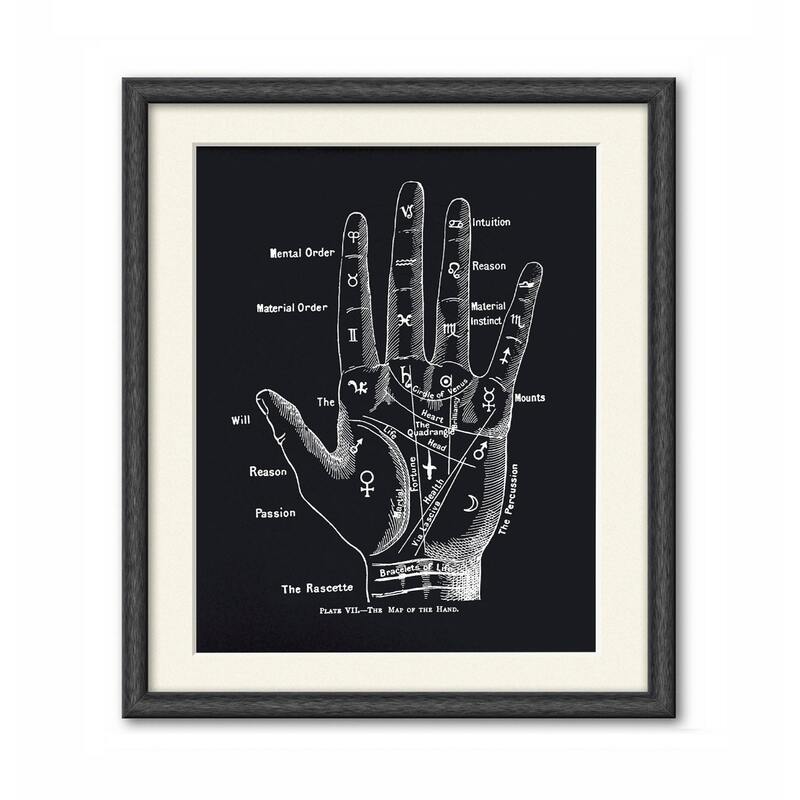 This print features a reproduction of a vintage palmistry print. The original art has been scanned in, cropped, and retouched to ensure the highest quality reproduction possible. 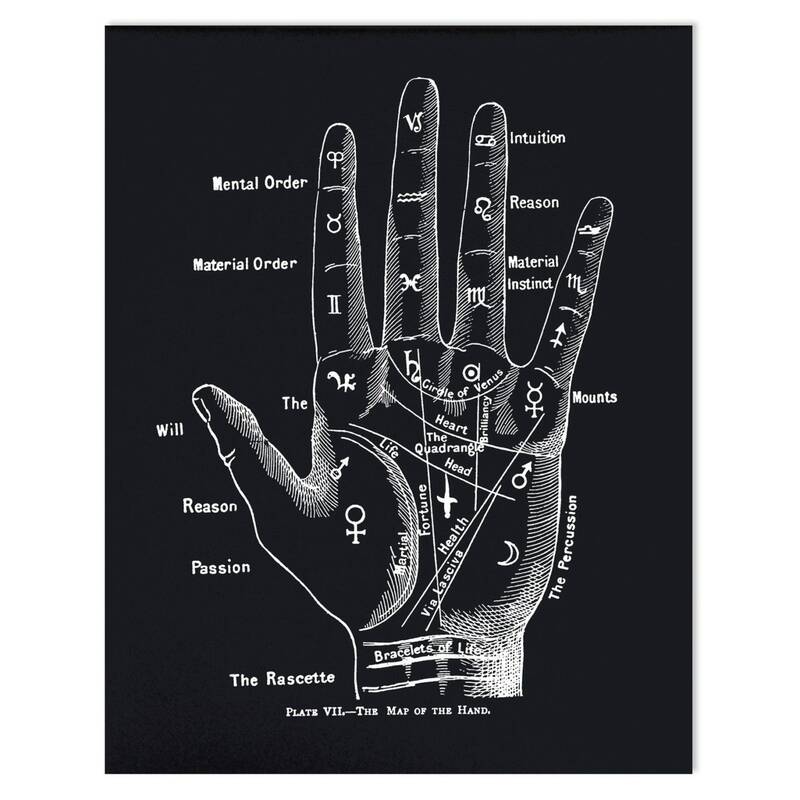 Palmistry, or chiromancy, is the claim of characterization and foretelling the future through the study of the palm, also known as palm reading or chirology. The practice is found all over the world, with numerous cultural variations. Those who practice chiromancy are generally called palmists or palm reader.